1) We aren’t drinking enough water. 2) We should definitely be drinking more water throughout our day. 3) Our urine should look like lemonade not apple juice. 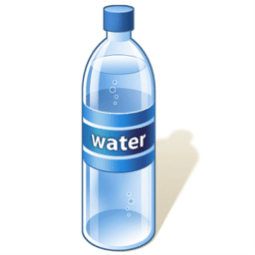 4) When we feel DE-hydrated, we don’t play/feel well. As our team nears the completion of spring ball, I am reflecting more and more on the missing components of a quality sports performance program, mainly hydration awareness. How many of our athletes go “all out” in our training sessions only to remain on the sidelines because they suffered a soft tissue injury or pull themselves out because of cramping. We must remember that lack of fuel and sleep can predispose any athlete to an injury just as much as a severe collision or being in a wrong place-wrong time moment. This is my first spring ball as a Head Coach. One of the biggest hurdles I have had to overcome this spring was the lack of knowledge regarding hydration that our athletes have. This has caused athletes to get hurt and suffer major setbacks. In an effort to educate our team better, I tried to make it as simple as possible with a brief show and tell demonstration after one of our training sessions. Take a piece of bread, some table salt, a sponge, and a bottle of water. Position your team so they can see all materials on a flat surface, such as a table. First, spill some water over the table. 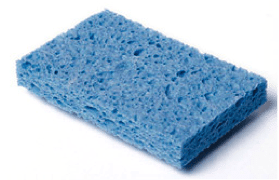 Next, take the piece of bread and place it on one part of the water spill and put a sponge over the other part. What happens? When you lift both items up, the water is absorbed by BOTH the bread and the sponge. Now the table is less wet and the water has a new home. Now, we understand sponges are for water, but what about the bread? We have to remember that for every one gram of glycogen (stored carbohydrate energy/fuel in our body) three to four grams of water are attracted. Glycogen levels are refilled best with high carbohydrate foods such as bagels, pastas, rice, breads, etc. (right after activity). These are all food types that are necessary for any athlete to sustain work, especially during a very warm, spring ball practice. Without proper fuel, our bodies become fatigued quicker and are more susceptible to injury. Now, what about the salt? Salt will soak up the water just like a sponge or cat litter used to soak up spilt oil from an oil change. 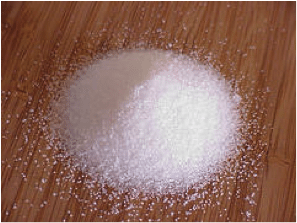 If athletes add extra salt to their food when practicing in hot and humid environments, the salt in the body will draw more fluid into the cell, thus keeping it ready for activity. This is one of the principles behind Gatorade and other sports drinks. Added electrolytes will stimulate thirst and athletes will drink more fluids. 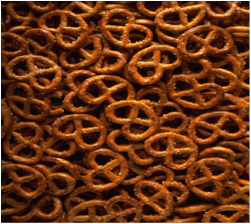 When is the last time you could eat a bag of pretzels without drinking something? What our athletes have to understand is that if they eat more starch/carbohydrates, add extra salt and drink electrolyte-enhanced beverages, they will retain more water. More water equals a higher bodyweight (which is great for your lean body mass gain athletes) and a more pliable muscle. A more pliable muscle means less chance of injury when it?s called upon to do work. Think about this, what is easier to bend? 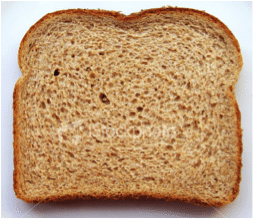 A piece of bread that has been soaked in fluid or a piece of stale bread left out over night. Less fluid causes stiffer muscles. Stiffer muscles are forced to work harder, sooner; thus increasing the risk for a pulled or strained muscle. What would happen if we tried to bend a stale piece of bread or sponge? Most likely, it would crack or break. If our athletes learn to saturate their muscle tissue with adequate fluids and nutrients, they will be better prepared for the physical demands ahead of them. It’s a very simple but overlooked concept. I wish you all would have seen the eyes light up and head nods when our team finally understood the reasoning for proper hydration. As coaches, we MUST dissect the information we read in journals, websites and discussion boards and find a way to make it PRACTICAL for our kids in order for it to work. In my next article, I’ll explain an easy way to help your athletes understand how much fluid to consume post-practice to make sure they return their body to proper water levels before their next training session.